A numerical methodology for the simulation of cavitating flows in real complex geometries is presented. A homogeneous-flow cavitation model, accounting for thermal effects and active nuclei concentration, which leads to a barotropic state law is adopted. 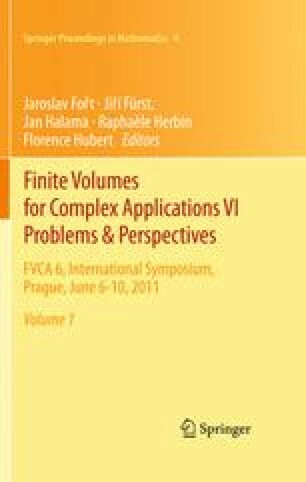 The continuity and momentum equations are discretized through a mixed finite-element/finite-volume approach, applicable to unstructured grids. A robust preconditioned low-diffusive HLL scheme is used to deal with all speed barotropic flows. Second-order accuracy in space is obtained through MUSCL reconstruction. Time advancing is carried out by a second-order implicit linearized formulation together with the Defect Correction technique. The flow in a real 3D inducer for rockets turbopumps is simulated for a wide range of conditions: different flow rates and rotating speeds as well as non-cavitating and cavitating flows are considered. The results obtained with this numerical approach are compared with experimental data. The support of the European Space Agency under Contract number 20081/06/NL/IA is gratefully acknowledged. The authors also wish to thank the Italian Computer Center CASPUR for having provided computational resources and support.